Ciloxan is used to treat eye and ear infections caused by bacteria. Ciloxan is a quinolone antibiotic medicine, containing the active compound ciprofloxacin. Ciloxan is used against bacterial infections of the eyes and ears. It inhibits the action of enzymes that are required for the DNA (genetic material) of bacteria to replicate and repair. Ciloxan's mechanism of action differs from that of other antibiotics such as penicillin, so it can be used by people who are either allergic to or do not respond to other antibiotics. Can I get Ciloxan online? Please complete one of the suggested free online consultations if you think that you need Ciloxan. 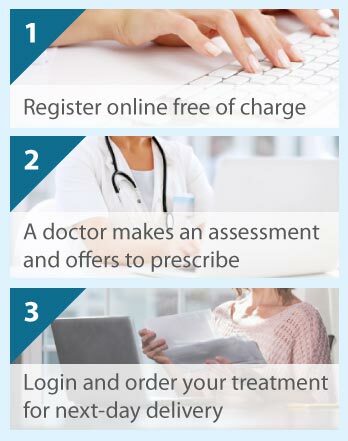 A doctor will consider your case and make a prescribing decision. Ciloxan is available on prescription for more than one type of consultation. Ciloxan is a topical treatment, meaning that it works directly at the site of infection. Ciloxan may be administered to the eyes in the form of eye drops (0.3% w/v solution) or eye ointment (3 mg/g), or into the ears using the same drops (0.3 mg/ml solution) for eyes. For eye infections, the dose that you require, the frequency of application, and the number of days to use the medicine will depend on whether you have corneal ulcers, bacterial conjunctivitis, blepharitis, or another bacterial infection in your eye. Follow the doctors' instructions carefully; stopping treatment too soon may result in return of the infection. If using drops or ointment, tilt your head back and, with a finger, pull down the lower eyelid until you see a ‘space’ between your eye and eyelid. For the drops, turn the bottle of solution upside down, position the tip above this ‘space’, and carefully press the bottle base to dispense one drop at a time into the space. If you ‘miss’, then try again. For the ointment, position the tube opening over the ‘space’, and carefully squeeze a 1.25 cm length of ointment into the space. Let go of the eyelid and blink. With both drops and ointment, do not touch the eye or the medicine may become contaminated. Repeat these instructions for the other eye if your doctor has told you to do so. For ear infections, the Ciloxan dose is usually four drops for adults and the elderly and three drops for children, administered twice daily into the ear canal of one or both ears. Your doctor will give you specific dosing instructions. For both eyes and ears, forgotten doses should be given when remembered, unless it is nearly the time for your next dose when it should be missed altogether. Rinse eyes thoroughly with warm water if too much is applied. No side effects are expected by using too much in the ear. Also, there are unlikely to be any effects from accidentally swallowing the product but, to be sure, contact your doctor. Do not take Ciloxan for long periods of time, as this will increase your susceptibility to other infections. Ciloxan can be used in adults, the elderly, and in children aged over 1 year. It may be prescribed for younger children according to circumstances. Before using Ciloxan, if appropriate, talk to your doctor about all your intentions surrounding pregnancy and breast-feeding. Do not use Ciloxan if you have previously had an allergic reaction to it, with symptoms including skin rash, itchy raised lumps, swelling of the face, and breathing problems. Stop this medicine if you get these symptoms or if you experience pain or swelling of your tendons. This may be more likely in people aged 65 years or older, or who are taking corticosteroid medicines. Discuss with your doctor all other medicines (prescription or otherwise), especially other eye and ear medicines. Mention other medicines called quinolones. You should be aware that a preservative in Ciloxan, called benzalkonium chloride, may cause eye and skin irritation. It can discolour soft contact lenses. In general, you should not wear hard or soft contact lenses while using Ciloxan; seek a doctor's advice before doing so. When using Ciloxan for eye infections, people most commonly experience their eyes to be red, itchy, sting/burn, or feel gritty, and to have white particles on its surface (the cornea). Notify your doctor immediately if you notice such white particles. Less frequently, there may be corneal damage, blurred or poor vision, light sensitivity, swelling, pain, dry or watery eyes, eye discharge, and eyelid crusting, scales, and redness. Rarely, eye inflammation, damage, or reduced sensation, double vision, tired eyes, and styes are reported. Use of Ciloxan for ear infections may lead to ear pain, itching, congestion, discharge, and tinnitus. In other parts of the body, effects of Ciloxan include a bad taste, nausea, and headache. While rare, you could experience a hypersensitivity reaction, skin inflammation, dizziness, nasal inflammation or discharge, abdominal pain, diarrhoea, and tendon disorders (especially if you also take corticosteroid medicines).